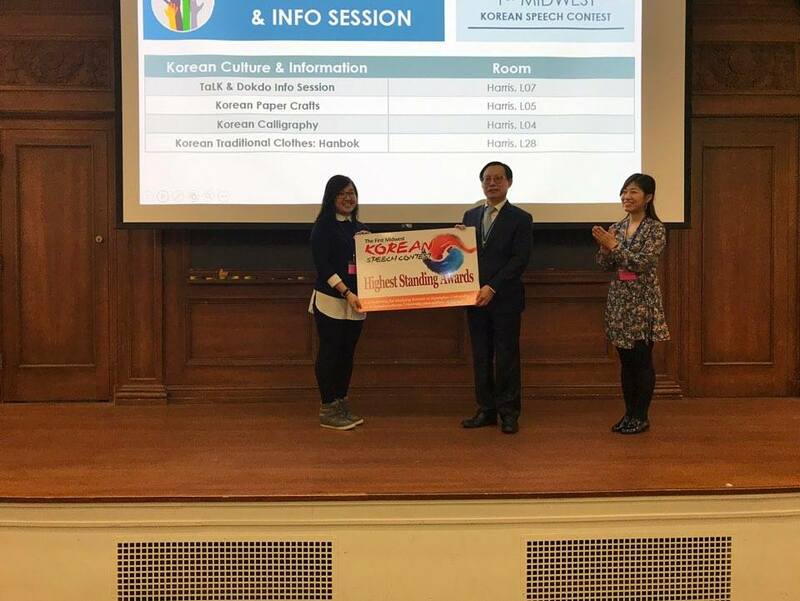 "Three KU students attended the 1st Midwest Korean Speech Contest at Northwestern University. They were among 42 competitors from 17 school. Christie Ngoh (pictured) won 1st prize in the Beginner level with a scholarship to study in Korea for one semester, and Rebecca Reutzel shared 3rd place in the Advanced level with a $300 monetary award. Eric Rath, Professor of History, was quoted in an article from The New Yorker — Mon, 01/02/2017 "Japan copes with the disappearing eel." John Head, Professor of Law, has a new book: International Law and Agroecological Husbandry: Building Legal Foundations for a New Agriculture. (Routledge, 2017). Related article: "Law professor outlines steps to achieve global, sustainable agriculture." John Kennedy, Associate Professor of Political Science, is co-author of an article in the journal China Quarterly that suggests the gender imbalance in China is not as large as previously thought. Read more about this research in recent articles from NPR, CNN, and the Washington Post. Yong Zhao, Foundation Distinguished Professor in Educational Leadership and Policy Studies, has recently been in the news talking about results of international standarized tests. Read more in recent articles in The Diplomat, and the Washington Post. Raj Bhala, Distinguished Professor of Law, has been in several recent news articles talking about international trade, especially as it relates to China, and the TPP. Read more in Bloomberg News, Christian Science Monitor, the Kansas City Star. So-Min Cheong, CEAS Director and Associate Professor of Geography and Atmospheric Sciences, received an award of nearly $600,000 from the National Academy's Gulf Research Program. Related article: "Researcher examines role of nonprofits in community recovery from Deepwater Horizon oil spill"
Eric Rath, Professor of History, has a new book: Japan's Cuisines: Food, Place and Identity (Reaktion Books, 2016). Related article: "Maybe you aren't what you eat, food and culture scholar says."